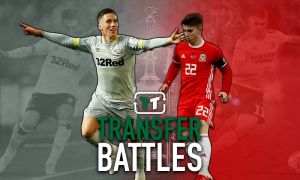 City make move for Derby County starlet | The Transfer Tavern | Where football transfer rumours fly or die! As one of the hottest prospects in the Championship, Derby County’s Will Hughes is a player that is regularly linked with a future Premier League move in the Football Transfer Tavern and today is no different as Simon Jones from Mail Online pops by to tell punters stood around the dart board that Manchester City are lining up a January bid for the midfield starlet. Jones reports that City boss Roberto Mancini sent his assistant manager David Platt to personally watch the 17-year-old during Saturday’s game at Brighton although the promising talent is not just interesting City but Tottenham and Arsenal also who are believed to be closely following his progress. But despite this, Jones claims that City are looking to complete a £10 million deal with the Rams before the transfer window closes at the end of the month. 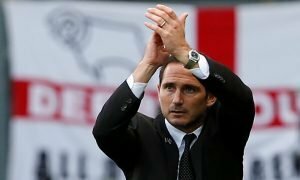 Although they want to keep him at Pride Park, if they do sell, Derby are keen to take Hughes back on loan for the rest of the season but City are thought to want to strengthen their squad now in an attempt to catch Manchester United at the top of the Premier League. Is Hughes set to sign for the Premier League champions? Vote in our polls below.